Campaigners fear a golfing development would seriously damage the local environment. Ministers have decided they need more time to consider proposals for a golf course at Coul Links near Embo in Sutherland. Highland councillors voted in June to approve a planning application for the development, which lies within the Loch Fleet site of scientific special interest (SSSI). Locals and campaigners objected to the project, claiming the golf course would cause serious damage to the environment. Holyrood ministers have the power to "call in" planning applications, effectively becoming the planning authority for the application. They have extended the period to consider whether or not to do so for Coul Links by a further 28 days. A Scottish Government spokesman said: "Ministers had an initial 28-day period to consider the application for a golf course at Coul Links, north of Embo, after Highland Council notified them it was minded to grant planning permission. "In order to fully consider the application, ministers are extending that period by a further 28 days from August 1 to consider whether or not to call in the application for their determination." 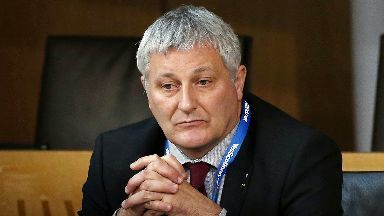 Green MSP John Finnie said: "Highland Council's north planning committee completely ignored the environmental evidence and it is therefore vital that the Scottish Government step up and call in this proposal, which its own natural heritage agency objected to. "Allowing this proposal to go ahead, in the face of all the evidence, would completely undermine environmental designations across Scotland." Charity RSPB Scotland welcomed ministers' decision to allow more time to consider the application. Aedan Smith, head of planning and development, said: "Coul Links is an incredibly special place for wildlife and it is encouraging that Scottish ministers are taking more time to fully consider the nationally and internationally significant implications for nature of this damaging proposal. "However, if Scottish ministers genuinely want to show to the world that Scotland can hold its head up alongside other nations as a world leader on environmental issues, they shouldn't hang about in stepping in to save this special place." The extension comes as the National Trust for Scotland called on the government to overhaul the planning system with its new Planning Bill. The charity cited the Coul Links proposals alongside several new planning applications submitted to Highland Council to develop sites at Culloden, including one proposing 13 holiday lodges and a restaurant. Culloden, site of the battle between Jacobite and government forces in April 1746, has been designated as a conservation area. Simon Skinner, chief executive of the National Trust for Scotland, said: "The forthcoming Planning (Scotland) Bill is the point of no return for Scotland's heritage - it could either prove to be the saviour of some of our most special places or the prelude to their irrecoverable loss." Earlier this week, it was revealed that Donald Trump's Aberdeenshire golf course has caused serious damage to the SSSI at Foveran Links north of Aberdeen. Campaigners are now hoping to protect Loch Fleet from a similar fate.